Our name name describes what we do: “Custom Earmolds”! Whether you are a hearing healthcare professional, police officer, first responder, musician, or a casual recreational user, The Earmold Company, Ltd. is the place to go for your custom earmolds. Please explore our website to find the right custom earmold to enhance or preserve your hearing. Cead Mile Failte (A Thousand Welcomes)! 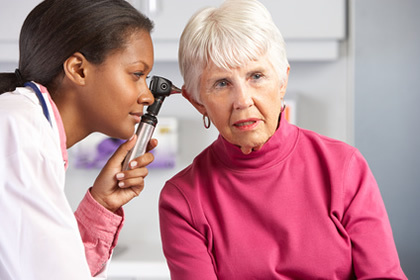 Trying to determine the best type of custom earmold for your patient can be a challenge with all the fancy names and numbers that are offered by other providers. The Earmold Company, Ltd. makes earmold style selection much easier: we call our materials and styles what they are. Wow! Still have questions? Contact our friendly and knowledgeable customer service staff to get the right custom fit. 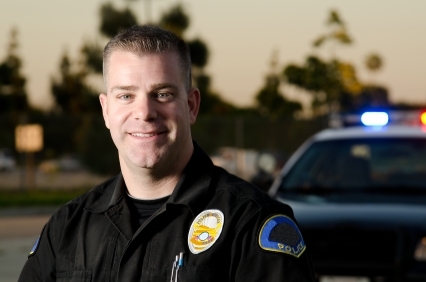 All major localities as well as the smallest communities have professional and volunteer personnel that are asked to protect, defend and save their neighbors. A custom fit earmold that isolates dispatch communication is a necessity for all emergency personnel. 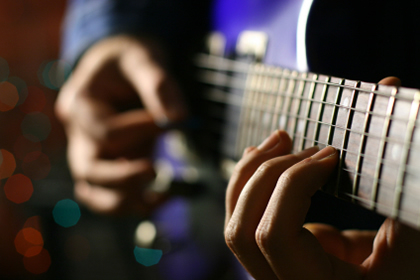 The world is full of the sounds of music! What better way to enhance your music and protect your hearing than with custom fit earmolds for personal and professional use? The Earmold Company, Ltd. offers many products that customize your music box player to fit the individual ears, including custom ear monitors, musicians’ earplugs, and over the counter headsets and earbuds for cell phones. The Earmold Company, Ltd. has your product. Click each material to see a description. [X] This is a hard material in which most earmold styles can be made. Default color is clear. Default finish is polished clear, a matte finish is a selected option. A single color as well as blood fibers, translucent tints and glitter are available. [X] Vinyl is a soft flexible material in which most earmold styles can be made. Default color is clear. Default finish is polished, a matte finish is not available. Up to three colors can be swirled, but due to the viscosity of vinyl colors at times by bleed together. Blood fibers, transluscent tints and glitter are available. [X] Silicone is a flexible inert rubber in which most earmold styles can be made. Default color is a beige flesh tone. Default finish is matte, due to the density of this material a polished finish is NOT available. Color selection in this material is very limited due to the density of the material. Blood fibers, transluscent tints and glitter are NOT available in this material. [X] Medical grade silicone is a very soft and flexible inert rubber in which most earmold styles can be made. Default color is a translucent pink. Default finish is matte. a crystal clear finish is a selected option. Up to three colors can be swirled together. Blood fibers, translucent tints and glitter are available. [X] Bodysoft material is very similar to acrylic that softens with the body temperature. Most earmold styles can be made except for skeleton, semi-skeleton and canal w/lock styles. Default finish is matte, a polished finish is NOT available in this material. A single color as well as blood fibers, translucent tints and glitter are available. Click here for available colors. [X] This is a combination of a bodysoft (soft) canal and acrylic (hard) concha. This material is the default selection for bodysoft skeleton, semi-skeleton and canal w/lock. Default finish is polished clear, a matte finish is a selected option. A single color as well as blood fibers, transluscent tints and glitter are available. [X] Dental material is available in acrylic (hard) or bodysoft (soft) and most earmold styles are made. Default finish in acrylic is a polished clear and in bodysoft a clear matte. Default color is clear,NO colors, blood fibers, translucent tints and glitter are available. This material is used with patients that have allergic reations to other earmold materials. 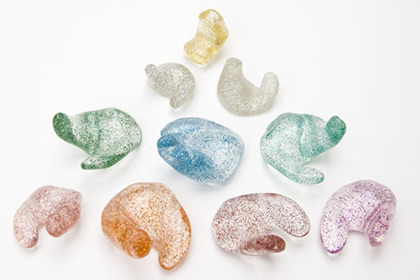 We provide custom earmolds in a variety of styles and colors for hearing aids and other uses. Click below for images and descriptions of available styles. We make a variety of earmolds and earpieces for musicians, media professionals, hunters, and others in need of hearing enhancement or protection. � Copyright 2019 by The Earmold Company, LTD. All Rights Reserved.